I have battled Shingles and Lyme disease for the past five years. I recently purchased the Olive Leaf Extract in capsule form (20-25%) from Olivus, per your recommendation. I am into my third week taking two capsules in the morning and two capsules at night. Two days ago, I experienced pain and cramping in my abdomen, joint pain all over my body, headache, and diarrhea. I felt very "flu-ish." I am thinking that it may be from herxheimer's reaction. I did call the company and they told me that most people experience a de-tox reaction at the beginning. Is it possible to have herxheimer's reaction three weeks into the protocol? I am just perplexed. If it's herxheimer's reaction, then bring it on, because I want to get better. I was thinking that maybe I was bitten by a tick again or that I had food poisoning. I eat really well. I try to eat all organic veggies and grass-fed meats. Hi Elaine. Thanks for your question regarding herxheimer's reaction. I believe it is possible to still suffer from herxheimers reaction 3 weeks after taking the OLE, because this is exactly what happened to me! I really copped it bad during the first week and after getting over this I thought I was in the clear. 6 weeks later I got hit again. Stomach upsets and bad flue like symptoms knocked me for six! What I did was reduce the dose and then slowly started increasing again after a couple of weeks. I think the problem is, if you're body is in a state of toxic overload (such as my body was) it can and will take time to clean everything out and get your immune system built back up again. I took OLE consistently for 12 months before I could honestly say that my body was 100% cleansed and purified. So I look at this like the hare and tortoise race. Slow and steady wins! I would also recommend taking apple cider vinegar and using plenty of cayenne pepper, ginger, cinnamon and tumeric in your cooking as well to further boost your immune system. Oh, and don't forget the probiotics as well! Hope this helps you Elaine. It is comforting to know that we are experiencing the same symptoms about the same time and that it is all for the greater good. I will continue to press on with this cleanse and I hope too that I can be free of all of the toxic overload in my system. I have struggled with health problems most of my childhood and my adult life so I am encouraged by what I'm reading about OLE and I hope that this is the answer to my prayer. God bless you for all that you do and thank you again for your prompt response. Hi again! I ran out of the OLE by Olivus and a day or two later my horribe herxheimer reaction subsided. I went for blood work thinking it was another tick bite, but my blood work came back negative. Thank you, God! 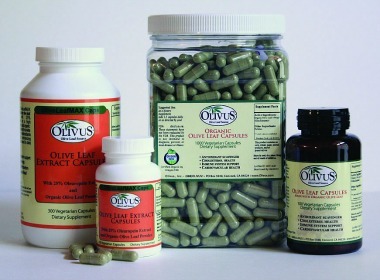 I just received the 300 count of Olivus with 25% Oleuropein extract. So, I am getting ready to start again. Ha! With your sage advice in my quest to get well and stay well, I am seeking your thoughts about dosage. I know you said that I should approach this as a hare an tortoise race. Can you tell me how you worked up to 4 or more capsules a day? Should I ever take more than 4 capsules? I plan on doing the 12 month protocol per your suggestion since I have multiple problems and then bank it back to a maintenance dosage. Glad to see the olive leaf extract is helping! Now with the dosage, the Olivus brand of OLE is very high quality and high potency. It's definitely the strongest on the market. I would recommend that you stay with their recommendations if you are going to be taking it for 12 months (which is an excellent idea too by the way). So one capsule twice daily will be sufficient. Because you've already been taking the OLE, this will still work nicely and hopefully stop any unwanted reactions. You're very welcome Elaine. I believe OLE is the answer to your prayer. It was the answer to mine. Stick with it and I guarantee you'll be rewarded! All the best to you. I am scheduled for breast cancer surgery in 8 days time. I had a few sniffles and not wanting anything negative prior to my surgery, I took a few 7.5 ml doses of the olive leaf extract after it was recommended by a friend. I had immediate severe hay fever like symptoms, so extreme, I have had no sleep for days. Now realising it is the olive leaf extract doing this to me I have stopped taking it yesterday. I badly need this to pass so that I can get some rest before my scheduled breast cancer surgery. I regret taking it, as the surgery is the big thing on my horizon. I was not really unwell prior. Was told it would boost my immune system, but I am rather a tired mess. Any thoughts on when this should pass. I am taking an anti-histamine to try and curb the effect but to no avail. This is unfortunate in your case. OLE does cause "flue like" symptoms in many people when they first start taking it. Herxheimers reaction usually subsides in around 3-4 days. If you are looking to boost your immunity before surgery, maybe play it safe and take/consume immune boosting herbs such as garlic, ginger, turmeric, bell peppers, echinacea and cayenne pepper. These very rarely cause any adverse reactions and will help tremendously. Hi there! I started taking olive leaf extract (500 mg, 20 per cent, twice daily) about one week ago, in addition to a probiotic (also twice daily) for a tongue/throat fungal condition following an antibiotic treatment. For the past 2 days I have been experiencing quite severe stomach cramps that have not subsided. My digestion has also been affected. Is it possible that this is Herxheimer's reaction? If so, approximately how long should I expect this to last? And is there likely a yeast overgrowth in the stomach as well? Or could it be hyperacidity as an after effect of the antibiotics? Any advice would be greatly appreciated. Many thanks! Hi Chris. The problem with pharmaceutical antibiotics is they completely destroy the good bacteria in your gut, effectively ruining your digestion and assimilation. This means when you go and take something like the OLE, the body struggles to absorb it. Stomach cramps are usually a sign that the gut is not functioning correctly. Either stop taking the OLE for the time being or back the dosage off by at least half. You must build the healthy bacteria back up in your stomach first, and this will take time. Make sure the probiotic you're taking is high quality and not a cheap version. In addition to this, start culturing your own saurkraut, kefir, etc, to help build up the probiotics in your gut even more (here's a good website on how to make your own probiotic rich foods). Also look at taking a hydrochloric acid supplement with pepsin to help get the gastric juices flowing correctly... Hydrochloric Acid. Once your stomach is working properly, then start to increase the dosage of the olive leaf extract. And don't forget, sugar kills off the healthy bacteria in your gut too so make sure you keep your intake to a bare minimum. Good luck and all the best to you Chris! Back in May, 2016 I was doing three CrossFit workouts a week. I broke a bone in my foot and still worked out but thought I'd heal better if I relaxed my workout schedule. Did a few open gym times, changed gyms and was working one-on-one with a trainer. Nothing out of the ordinary, but it took four days, FOUR DAYS, to recover from a one hour workout. I'd seen the progression of fatigue increasing and told my naturopath, chiropractor and others that something was off, until I insisted on blood work. HIGH positive for Epstein Barr, last flare was nine years ago, but somehow this time is different. Worse. Was down to being able to do one thing a day: some laundry; clean the bathroom. The fatigue was deep. 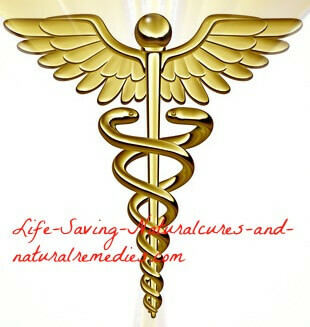 My Naturopath started me on 2 caps 3X/day of D-Lenolate (OLE) and I swear I'm near death, or darn well want to be! Deeeep fatigue, hot flashes that are somehow different from menopausal ones. I am sugar and carb free for more than six months now, and I have recently had a YEAST infection? What's THAT feeding on?!! Whatever, but strange! Fungus on my inner thighs, and since starting the OLE, I can't do anything. Anything! Passenger in a car maybe. Sat outside a restaurant and made hubby get dinner to go - while sitting right out front! I'm frightened as my tanks are empty, empty, empty! 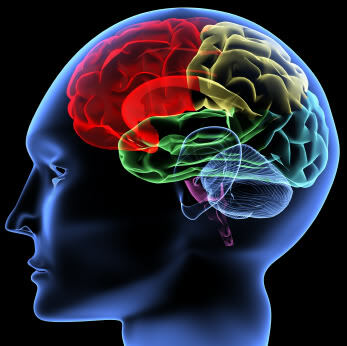 The smallest tasks impact the energy profoundly. Is this die-off? Am I taking too much OLE? Light dizziness, sad and frightened - what could a trip to the hospital do? Think I'm going to stop the OLE but still waiting to hear from this forum. Sigh. These are all classic signs of Herxheimers reaction... Olive Leaf Side Effects - Herxheimers Reaction. Starting off on six capsules a day seems very high. Reduce the dosage to, say, two capsules per day and then slowly build back up to six again over a period of several weeks. You should also be taking a good quality probiotic supplement to build up your immune system (70% of your immunity is located in your gut) and to prevent and treat yeast infections. OLE and herxheimers reaction can actually bring out yeast infections, fungus, etc, in the beginning if you're detoxing too fast, which it seems you are doing. In addition to this, have a read of this recent Q&A on natural remedies for Epstein Barr virus... A Natural Remedy for Epstein Barr Virus That Works a Treat. Here's some other terrific ways to naturally boost your immune system as well... Take Your Health to a Whole New Level With These Powerful Immune Boosting Tips! OLE for UTI gives diarrhea. I started taking OLE for my UTI a few days ago. I was taking 6 pills per day - Olivus Brand. So then yesterday I increased the dosage to the 4 capsules 3x day which is the suggested. By evening I had diarrhea that was unbelievable. No headache, no flu symptoms. I will also add that constipation has never been one of my problems, although having marshmallow tea, or other herbals will give me diarrhea. So what do I do? I want to get rid of my UTI but the treatment is pretty bad. I know it has to be Herxheimer's but good grief. I was only taking 1 capsule a day (500mg) for about three weeks, then all of a sudden it hit me like a ton of bricks. I have been sick to my stomach now for 6 days. Stopped taking OLE 4 days ago... aches, pains, hot flashes, and I am struggling to work and even type this. Feel like someone has beat me with a baseball bat. No energy, no appetite, just feel horrible. I thought about starting back on the OLE today, but I am just not sure I can handle it. Any suggestions? Hi Carole. Wow, the reason you ended up with diarrhea is you took too much of the olive leaf extract. The maximum dose for the Olivus OLE is 6 capsules per day, not 12 capsules. No wonder your gut wasn't good. A total of 4 to 6 capsules a day (taken on an empty stomach, 20 minutes before food) is plenty enough. If you didn't experience any adverse side effects during the first 3 weeks and then all of a sudden you did then it's unlikely it was herxheimers. Herxheimers usually starts straight away and can continue for the first 3 weeks, or even longer in some cases. Maybe it was something else? Start taking the raw organic apple cider vinegar with the "mother" (1-2 tablespoons in a glass of warm filtered water twice daily), along with drinking ginger tea. Both of these help to flush out and cleanse the gut, thereby reducing the effects of herxheimers. Don't forget to also drink plenty of clean filtered water while your body is detoxing. I've been taking olive leaf extract now for about 2 weeks and I counted all the pills (they are 500 mg's) and I took a least 47 pills, but I'm developing a rash on the back of my neck. I this normal? I have been taking OLE for two days (Nature’s Way, 250mg, 12%) 4 pills per day, so 120 total mg per day of Oleuropein. I have a terrible headache that Tylenol doesn’t seem to be touching. Could this be the beginning of Herxheimer’s, and is my dosage right for just starting out? This is definitely Herxheimers Sharon. Start out on one or two capsules per day and slowly increase by one capsule per day over a period of several weeks. Try and work up to around a max of 6 per day then stay on this. If you're getting hit by herxheimers, it certainly pays to take things slowly in the beginning until your body gets on top of things.